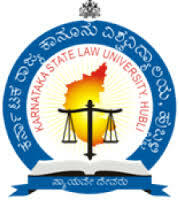 Karnataka State Law University, Hubli is pleased to organize a National Conference on “Nuclear Liability Insurance and Dispute Settlement”. Nuclear law is one of those emerging areas of law, which is in need of immediate attention due to the far-reaching effects of the nuclear activities carried on by increasing number of States. While the use of nuclear energy is found inevitable in the present day world, there exists no doubt the requirement of such uses to be regulated. The military uses of nuclear energy, on the one hand, are condemned due to their devastating effects evidenced during the end of World War II. On the other hand, the essential commercial uses of nuclear energy are not free from problems. One of the most significant problems faced in the use of nuclear energy is the accidental damage caused by such activities and the consequential liability of the States and individuals. The legal regime governing the nuclear liability in the international level is found in the customary norms and international treaties relating to nuclear liability. Some of the major nuclear power using States have tried to incorporate the international principles, though not entirely, in their domestic levels by enacting municipal legislations. An insight into these regimes reveal that the States are attempting to shred their liability by holding the operators of the nuclear installations liable for the damage caused by the nuclear activities. However, at the same time, the States have tried to accommodate the interests of their operators of the nuclear installations by limiting their liability and providing right of recourse against other parties. The limiting of liability is found significant in the light of possible insurance coverage to be procured by the operators. However, these efforts are yet to result in concrete solutions to plethora of problems existing in the field. On the one hand, the insurance coverage is not readily available due to the magnitude of risk and difficulty in the risk evaluation, and on the other hand, the limited liability is compromising the interests of victims of large-scale nuclear catastrophes. In addition, the nuclear liability norms in the international level have failed drastically due to the limited number of ratifications of the treaties relating to nuclear liability. With the increase in the nuclear activities, the litigations relating to the damage caused by such activities is also increasing. This has resulted in opening up multiple questions in the field of nuclear energy. Since the nuclear disasters are capable of resulting in transboundary damage, the invariable question of jurisdiction and applicable law in the dispute settlement would arise. In the absence of any formal dispute resolution mechanism in the international level, the potential role of alternative dispute resolution mechanism is worth to look into. Moreover, the significance of municipal tort law principles, which vary from State to State, needs to be addressed in the nuclear disputes settlement. In light of the above factors, there is a need to deliberate on the issues relating to nuclear liability, insurance and dispute settlement. This two days national conference is intended to provide a platform for such a scholarly debate among the academicians, lawyers, policymakers and students. It is also intended that the scholarly papers presented in the conference be published in the form of an edited book. For further information, kindly visit here.